fatigue | Troy C. Wagstaff aka CallahanWriter Blog: Topics of interest include Western Historical (1865-1899) Topics. Additionally inspirational Christian and Fibromyalgia interests. Some studies and reports say the up to 50 percent of all fibromyalgia patients suffer from depression. We know that depression, anxiety and all other mental health issues are a real physical disease that can be treated with the right medicine. Often many of these mental health disorders like depression are rooted in chemical imbalances within the brain. I don’t know for certain just how many fibro patients are plagued with depression or anxiety but to me, it makes perfect sense that so many would be thus affected. 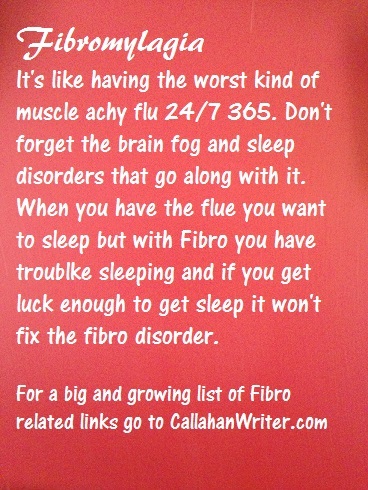 Consider what we typically go through as fibro sufferers. Chronic pain, mental fog, fatigue, pressure, headaches, migraines, sore joints, malaise, insomnia and countless other symptoms. It’s no wonder that so many fibromyalgia patients have depression problems. I would be willing to bet that almost all chronic illnesses have a higher percentage of their patients afflicted with depression. 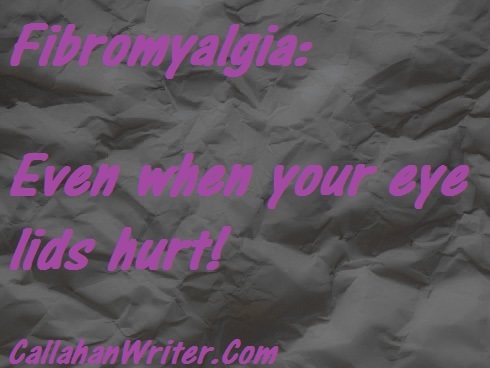 The chronic pain of fibromyalgia drives me crazy. Sometimes I just get furious in my mind that the dull, burning and aching sensations deep within my core just won’t stop. Pressure develops from deep-seated aches and pains that make me feel like a volcano is going to explode from somewhere on my body to release that pressure. But that volcano never appears and the pressure eventually relaxes. When that happens every day, day in and day out, week in and week out, month in and month out, year in and year out, with no end in sight, it can make you feel like you are going to loose your mind. Perhaps that’s what starts the depression. Feeling the pain and know that while pain relievers will help they will not cure the pain. When all you have to look forward to is endless pain that is depressing. 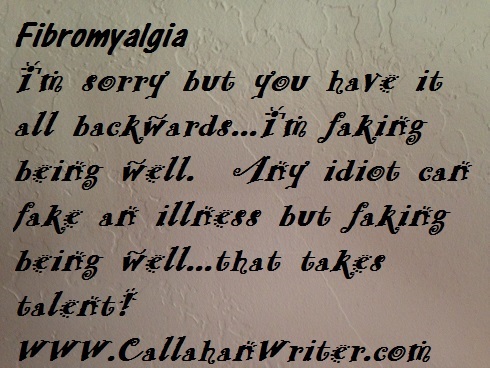 I know that there are many who suffer from fibromyalgia who do not respond well the medicines presented to them. Perhaps they haven’t met the right doctor or just have a very complicated case of fibro. But for most people, we respond to one degree or another to medicine that treats the symptoms. Depression is another symptom of fibromyalgia. That would be depression secondary to fibromyalgia. But there are people who have depression independent of fibromyalgia. Whichever one you are, get help. Get medicine. But beware. 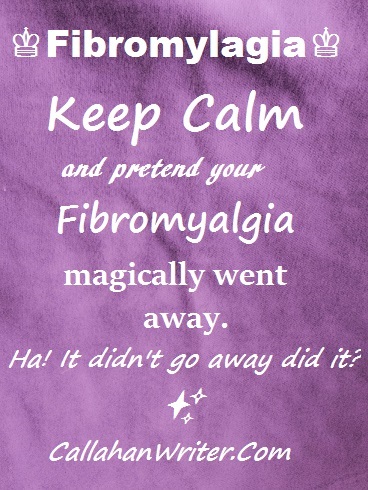 Just like not every medicine will help fibro, not every medicine will work the first time with depression. Sometimes you have to try one medicine for a few weeks or a month, or so. If it doesn’t work, don’t worry. Try another one. There are enough depression medications out there that the chances of finding one that will work are very good. I know that for the symptom of intense muscle spasms, it took three or four tries to find the right kind of muscle relaxer to help me sufficiently. It turns out that I take one non drowsy type during the day and a different muscle relaxer during the night that makes me groggy. That way, I get help with my severe insomnia. Depression medicine can be similar in that it may take several tries to get the right one. Medical scientists know far more about depression than they do about fibromyalgia so while you are forced to suffer pain and other symptoms like fatigue and fog etc. with the fibro, you should almost never have to suffer from depression. Just go to the doctor with your eyes open and you perception in check. But whatever you do, get help and don’t be tempted to self medicate, meaning drugs and alcohol. I have an alcoholic brother with PTSD as a Vietnam vet. He self medicated with alcohol and he has a slew of health problems as a result of the overuse of alcohol including the ravages of a stroke. Don’t stand idly by and suffer from anxiety or depression. Get help. With fibromyalgia you have enough to worry about with the pain, fog, fatigue and dozens of other potential symptoms. 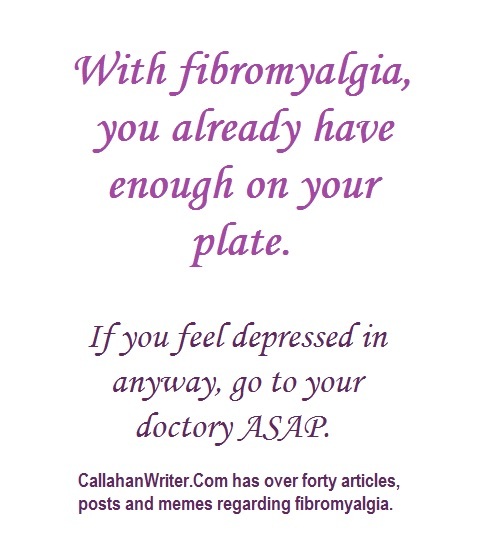 You didn’t ask for fibro and you didn’t ask for depression. Get all the help you can with depression and maybe someday fibro will be like depression, take one or two pills and your fibro will no longer be a problem. We can at least hope, right? I have no medical training. I am writing this article as friendly advice. I take no responsibility for what you do or your actions regarding this information. Fibro people faking looking well even though they are not.